We know what brought you here. Seriously, we do! You're not the only one that feels this way. You 'get' that traditional marketing methods are becoming less effective even as they become more expensive. And your gut feeling tells you that your "on-line brochure" static website isn't delivery the powerful results you sense are possible. 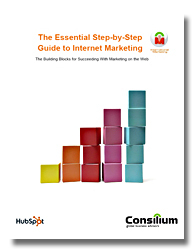 This guide is perfect whether you're just starting to craft your on-line strategy or want to brush up on the basics.